It’s not every day you hear your mother scream and fall to the ground crying, but it is an imprinted memory from when I was a boy of 10. We had recently moved back to live in Northern Ireland having been overseas and the murder of my mother’s brother – my uncle Samuel – was an introduction to the troubles I didn’t expect and why should I? I was 10 and had no idea what a Catholic or Protestant was never mind what the Troubles were all about. My mother was to die of cancer five years later not knowing what had happened to her brother – or why – and I often think about that moment and ponder; do I fall into the category of victim? I have not felt that I did and still don’t, but then the term is subjective, notwithstanding the definition of a victim, and many will view it differently from me. I recently read the well written piece by Paul Crawford titled ‘The Truth within’ where he clearly states he simply wants the UVF to publicly acknowledge his father’s killing. This is a fair ask but unfortunately Paul is not in isolation. Where Paul only wants the ‘simple truth’, other victims want justice and accountability. Those responsible for the murder of Paul’s father may well have been involved directly or indirectly in the murder of many others. 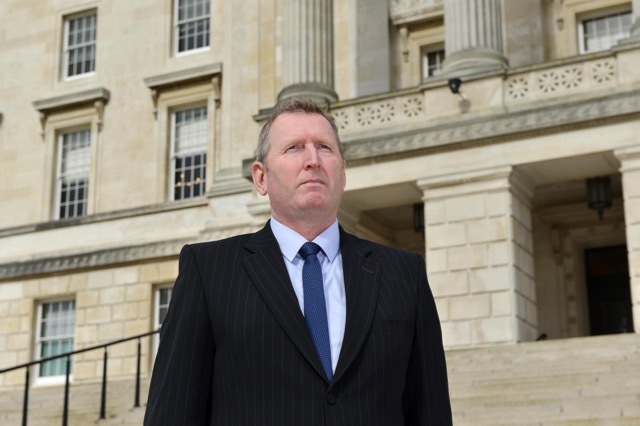 Therefore, the legacy mechanisms proposed in the Stormont House Agreement (SHA), may not be able to deliver what Paul wants without adverse effects on other victims. The Independent Commission for Information Retrieval (ICIR) is one such legacy mechanism whereby anyone, including former terrorists, can tell all they know and be safe in the knowledge that the information they provide would – in theory – not be passed on to the Historical Investigations Unit (HIU) for investigation. This could create a perverse legacy mechanism that could prevent some victims getting justice and accountability by retaining information within the ICIR that could unlock an investigation for other crimes. Of course the HIU could – through separate investigatory methods – find the very information the ICIR holds but there is no guarantee of this. It is therefore quite possible investigations into Troubles related deaths in order to bring closure for victims and give them justice could come to nothing even though the information required by the HIU is being held by the ICIR and has already been passed to another victim. Unlike Paul I do make a distinction between the forces of law and order and those who brought terrorism and sustained violence onto our streets. I do refer to the latter as terrorists in the basic definition of the word – ‘a person who uses terrorism in the pursuit of political aims’ – because that is exactly what they were. In the Northern Ireland context they cannot be equated to the civil rights movement of the late sixties or indeed the thousands of police and military personnel who found themselves thrust into the violence that subsequently erupted. In the mid 1960’s many Unionists – including Northern Ireland’s Prime Minister Terence O’Neill – readily acknowledged that reform was necessary. The irony is that IRA violence actually delayed many of the reforms being sought by the civil rights protestors. I have no doubt that reform was possible without violence, but through violence the republican movement hijacked the aims of the civil rights movement and corrupted that idea. I sometimes wonder just how different Northern Ireland would be if the IRA had not used the civil rights movement as a catalyst for their violent campaign which was designed to bring about the political aim of overthrowing the State? I recently met with another Paul, Paul Gallagher, to answer questions in support of his dissertation. Paul was left paralysed and in a wheelchair when loyalist terrorists held him and his family hostage in a bid to murder a next door neighbour. When their target didn’t materialise, the terrorists left the house but not before they sprayed it with bullets hitting Paul six times. A wanton and unnecessary act that was perpetrated purely because Paul was a Catholic. Paul is driving the campaign for pensions for those seriously injured during the troubles. A long campaign that seems to be held up by the fact that our definition of a victim in Northern Ireland means that those who were injured by their own hands – perpetrating terrorist acts – would be entitled to a pension also. Something that I and many others would find abhorrent. These innocent severely injured victims who need our support and a degree of certainty as they get older are being failed by the political situation in Northern Ireland. Of course the solution is easy dependent on which side of the argument you stand. Are republicans seriously suggesting that 500 plus seriously injured individuals should not get a pension because 10 terrorists would be excluded? Surely they should act in the greater good of the many? It’s a circular question. Clearly I believe there is no equivalence between innocent victims and those who were injured perpetrating terrorism, but I am not blind to the issues and neither do I lack compassion in some circumstances. As was once suggested by Mike Nesbitt when he was the Ulster Unionist Party leader, if a wealthy US based philanthropist wants to fund similar arrangements for those who were injured by their own hand, that is a matter for them. At the end of the interview with Paul [Gallagher] I asked him if the perpetrator who shot him had himself been injured would he, who had his life so terribly altered in 1994, be happy if that terrorist received the same pension as he did? He answered ‘for the greater good yes’ and I found my respect for Paul had increased immeasurably. But what if that terrorist had been paid a bigger pension? What if they had not only been paid a pension but had found high office in the government of the country? What if through change they were now being applauded as a peacemaker, wined and dined by the world’s great and good? Would Paul’s clear compassion and tolerance be quite so generous? Indeed, if Paul Crawford was to find out that those who directed the murder of his father were now regarded as pillars of society would he be happier knowing the truth or would it become a festering sore that would in time create bigger issues for him and society? I know many victims – probably the majority – would not want to see a situation where those who injured themselves by their own hands whilst conducting terrorist acts are given the same pension equivalence to those they set out to maim or murder. In looking for the truth our proposed legacy mechanisms remain unbalanced. For example, the UK Government has pledged that it will provide every scrap of information available for the HIU to conduct an investigation, including information from the Ministry of Defence, MI5, the police and all other security services. Only after investigation will it be redacted, meaning the HIU would not be impeded from bringing forward possible criminal charges. However, in contrast, the Irish Government will redact all information prior to the investigation. It is therefore possible that they could inhibit bringing forward criminal charges from any investigation if all the information held by Dublin is not made available. Republican mistrust of the British Government is long-standing, but Dublin has a key role to play too and there needs to be balance. The Irish Government needs to understand that information held by the Garda and the Irish Directorate of Military Intelligence could unlock many cases, not least the IRA’s brutal murder campaign that took place along the border for decades. Balance is also needed regarding the calls for Article 2 compliant investigations. Thus far the call has been for them to be conducted for all state killings yet I believe they should also be conducted in cases where terrorists murdered members of the security forces, the case of the Ballygawley bus bombing being a prime example. Whilst there was an investigation to find the perpetrators of that crime, there was no investigation to find out why these men were bussed through an area with a high IED threat especially when helicopters where available. Where was the right to life for the eight soldiers killed in this atrocity or indeed those killed at Narrow Water near Warrenpoint in unarmoured vehicles? Blame for these atrocities lies squarely with the terrorists responsible for them and we should never ever shy away from that fact, but if we really care about equality then these murders must also be reinvestigated. If you agree that all murders must be investigated equally then you will soon realise that the legacy proposals as they stand are not fit for purpose. They will not address what all victims want. Indeed if all are investigated equally, given the volume of cases, the system will be swamped and certain cases will be selected, creating a de facto hierarchy of victims almost inevitably leading to a prolonged and agonising process that will never be completed in the 5-7 years envisaged. I commend the attitudes of both Paul Crawford and Paul Gallagher and in doing so I accept that for every victim there will be a different desired outcome. Yet someone somewhere will inevitably lose out. Sometimes as an elected representative it can be difficult to express your personal views lest they are at odds with your party. As individual I am shaped by my experiences and not the collective experiences of others. Politicians will soon have to show leadership as we hit the tipping point of legacy issues. Difficult decisions will have to be made as they were as part of the Belfast Agreement. Back then it was the UUP and SDLP who did the heavy lifting and in doing so paid a high political price. Now it is the DUP and Sinn Fein who are faced with difficult decisions which must be taken for the good of the people of Northern Ireland. Some of the decisions will be unpopular. So The question is – do they have the courage to make them? Only time will tell. August 3, 2017 in News & Current Affairs. Words. Words can kill, insult or simply not bring anything positive to a table. Terror. There’s a word that will resonate with many here & elsewhere, particularly, where armed action has occurred: what ever the source. As you know I was born in Belfast & raised 150m from what is now known as the west Belfast peace line. Armed actions where almost daily, then, by all armed groups. One day, a family friend, a young man in his teens, dressed in high boy denim jeans, high leg oxford boots, a black leather bomber jacket and a black dyed cap comforter on his head carrying a Mk1 Bren LMG came darting past. His comrade carrying filled magazines a few meters behind yelling “get you wee ‘uns in”. Down the street near “Rita’s Shop” they dashed down but there was no cover, loaded the Bren, made ready, took aim & commenced in an armed fire fight that stopped an incursion by other armed men into our tiny streets. I can recall punching the air with my tiny fist. The 1st Battalion of the UVF had saved our streets again. I chanted “U, U, UVF; U, U, UVF”. “Terror” and “Terrorist” are very convenient labels when it suits certain people today. The self righteous from the conservative Protestant & Catholic class types (largely unaffected by the armed actions of yesteryear) especially take smug satisfaction in labels of convenience however I’m minded of the old adage: “one mans terrorist is another’s freedom fighter”. Today, the 4th August 2017, there is a unique opportunity in time to maintain our devolved Government & engage with each other to assure the delivery on quality of life matters, equity, security, equality, for all Citizens here. Mistrust cannot be removed by talking to oneself in a mirror: mistrust can only be evaporated through dialogue, listening, debating. Big gestures with slow & sustainable incremental steps are needed, now. It’s not hard: Sustained Good Government Now!